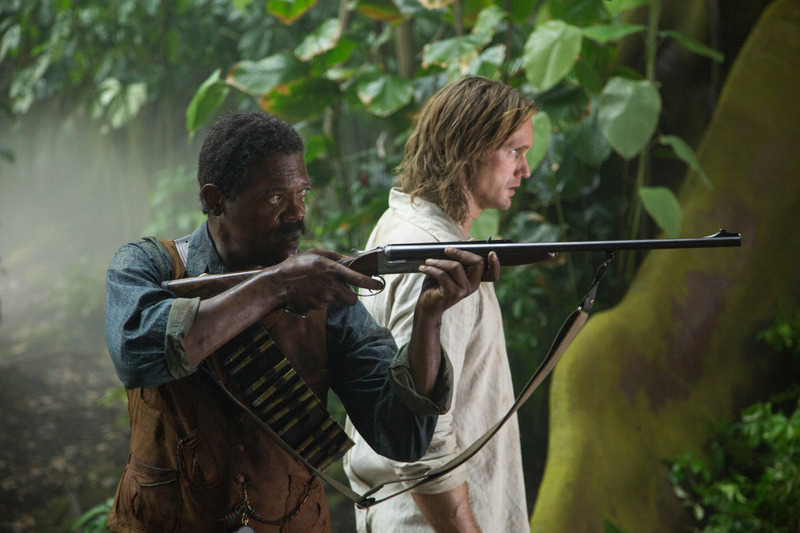 Home / Movies / Samuel L. Jackson Plays Real-Life Unsung Hero in "Legend of Tarzan"
Samuel L. Jackson Plays Real-Life Unsung Hero in "Legend of Tarzan"
Iconic actor Samuel L. Jackson stars in Warner Bros. Pictures’ “The Legend of Tarzan” as George Washington Williams, a real-life but relatively unsung hero from 19th-century American history who becomes Tarzan’s unexpected ally in the film. On his working relationship with Alexander Skarsgård and creating the camaraderie that develops between their characters, Jackson shares, “It’s a fun relationship. Tarzan doesn’t want to like George, but once he realizes his tenacity and his commitment and loyalty, he begins to understand him a bit better. George is considerably older than everybody in the film, and Tarzan, Kwete [played by Osy Ikhile] and the other tribesmen, they run everywhere. So I decided that George would always be trying to keep up, saying, ‘Don’t worry about me. I’m right behind you.’ But by the time I show up, they’ve already made a plan and are getting ready to go somewhere else. I’d be like: [Mimes panting]. And they’d just look at me and take off running again [laughs]. But George keeps his determination up, and every time they think they’ve lost him, he shows up, so that kind of makes them look at him in another way. From Warner Bros. Pictures and Village Roadshow Pictures comes the action adventure “The Legend of Tarzan,” starring Alexander Skarsgård as the legendary character created by Edgar Rice Burroughs. The film also stars Oscar nominee Samuel L. Jackson, Margot Robbie, Oscar nominee Djimon Hounsou, with Oscar winner Jim Broadbent and two-time Oscar winner Christoph Waltz. It has been years since the man once known as Tarzan (Skarsgård) left the jungles of Africa behind for a gentrified life as John Clayton III, Lord Greystoke, with his beloved wife, Jane (Robbie) at his side. Now, he has been invited back to the Congo to serve as a trade emissary of Parliament, unaware that he is a pawn in a deadly convergence of greed and revenge, masterminded by the Belgian, Captain Leon Rom (Waltz). But those behind the murderous plot have no idea what they are about to unleash. David Yates (the final four “Harry Potter” films, upcoming “Fantastic Beasts and Where to Find Them”) directed “The Legend of Tarzan” from a screenplay by Adam Cozad and Craig Brewer, story by Brewer and Cozad based on the Tarzan stories created by Burroughs. Slated for release across the Philippines on Thursday, June 30, “The Legend of Tarzan” is distributed in 2D, 3D and IMAX 3D by Warner Bros. Pictures, a Warner Bros. Entertainment Company.